It's summertime and that means it was time go on holiday with my family. Spain, France, Italy or Turkey? No, this year we decided to go and visit the Scottish Highlands. Although it's a familyholiday, this gave me some nice opportunities for distilleryvisits. 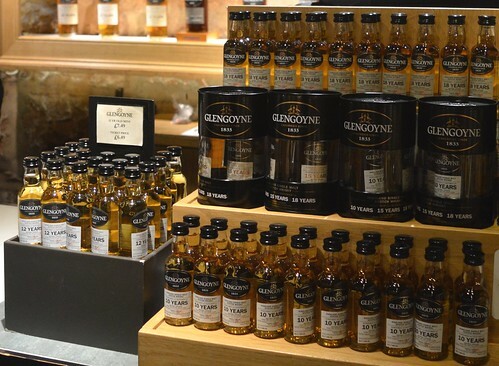 The first distillery we passed was Glengoyne, a distillery that was on my to visit list anyway. Of course I brought some nice souvenirs home with me. Our stay was planned in Killin, between the border of the Loch Lomond & Trossachs national park and the shores of Loch Tay. It took us a drive from Glasgow to get there and guess what? 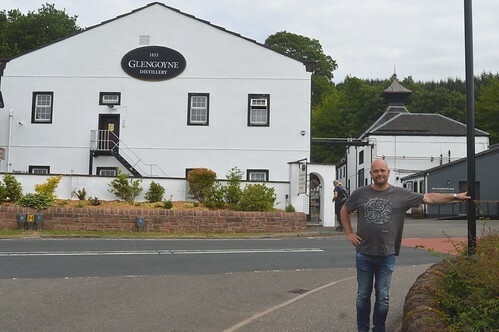 Glengoyne is situated halfway there... (with a small detour that is). A short visit was quickly planned and the distillery became the first destination in the navigation system of our rental car. After a little while we get to the distillery. There is no time for a tour but the visitor center / shop certainly is an option. It's a very nice shop and I almost get tempted to buy the handfill whisky. It's the first day in Scotland so I decide not to buy it and just buy a very nice Copita whiskyglass and a miniature of the Glengoyne 18yo. Now that we've returned from our holiday it's time to give that whisky a review. 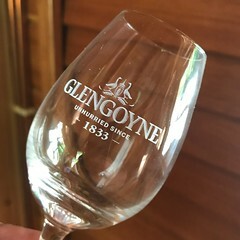 Glengoyne 18 is a lovely and very drinkable whisky and from what I've seen already, I think Peter and I will visit the distillery together sometime.